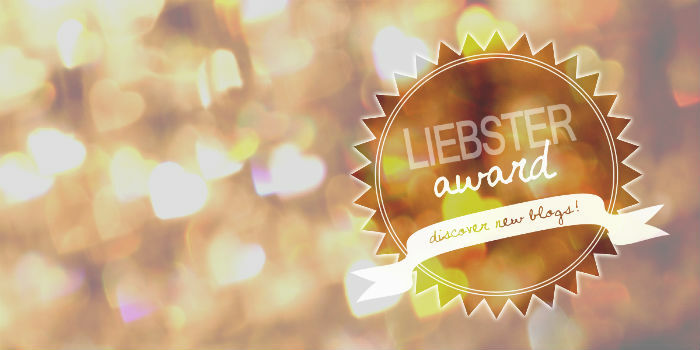 I am delighted to be nominated for the Liebster Award by Laura Wijnberg. The award is a great way of recognizing existing bloggers for their work and discovering new and inspiring blogs within the blogging community. It also allows for greater exposure and more connections being made. 1. What is your favourite meal of the day? I started blogging in November 2014. I have always been strongly passionate about health and well-being on a number of levels. From an early age I was curious to discover the different ways of maintaining good health and to better understand the true meaning of wellness. Some of the main interests that I developed over time have been nutrition, food, fitness and yoga as well as spirituality. At the same time I love the idea of being able to help, support and inspire others by sharing knowledge, ideas and information that can have a positive impact on their lives. Creating this blog has been a step forward towards making this a reality and I feel extremely happy to be able make a difference no matter how small and insignificant it may initially be. 4. What is your favourite ingredient to use in recipes? If it’s a savoury dish, I love to add ground cumin. It’s so aromatic and also has a number of health benefits such as helping to improve digestion. It’s also a great source of essential minerals. 5. What is your favourite breakfast recipe? I love to mix things up at breakfast time. One of my favourite breakfast recipes is overnight oats in a jar consisting of plain oats mixed with crunchy nut cereal or rice krispies, greek yoghurt, honey, peanut butter, ground nuts (walnut and almonds) and ground seeds (sesame and flaxseed). 6. Who do you cook for? 7. What is your favourite kitchen tool? The blender. I love using it for making cream soups, as well as smoothies and milkshakes! 8. What is your number one tip on starting a blog? Have in mind what it is that you really want to blog about – its main aim and your true motivation behind it. Be patient and enjoy the journey of learning new things along the way. And finally check out and connect with other blogs out there that have already become successful in their field – it’s the best way to draw inspiration and learn. 9. How would you describe your blog in one word? 10. Do you mostly make the same recipes or do you like to try out new ones? Every now and again when time is short I like to make old recipes which I found to be delicious and nutritious, but on most occasions I love to experiment with new and different ones! 2. What is your favourite food and why? 3. What motivates you in life? 4.What is the most memorable place that you have visited? 5. Summarise your blog in one sentence. 6. What other hobbies do you have, apart from blogging? 7. What is your favourite quote and by whom? 9. How did you pick your blog’s name? 10. What single quality do you most appreciate in people? Thank you once again for this nomination Laura. Hope that the nominees will enjoy answering my questions! Thanks so much! I appreciate it! Will try my best to follow through with doing this. Thank you! !